Unlike other vendors we don’t restrict on performance or features. How many other vendors have their entry level hardware capable of 3,671 SSL TPS? The same feature-rich product on the platform that suits you. Save time and money with the license restricted Enterprise R20. Get all the raw power, features and performance of the Enterprise MAX model. You will probably never need to upgrade the license. How many other vendors have their entry level unit capable of 3,671 SSL TPS? Eliminate stress with a pair of unrestricted Enterprise MAX load balancers. You will never have to worry about scalability again. Some of our most demanding customers have been running on this hardware platform without a hitch for years. Are you worried about the future demands on your network? 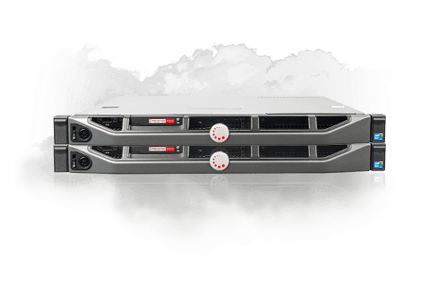 Get 10 times more performance with the Enterprise 10G right now. All Enterprise 10G appliances are custom built with your choice of 10GB Adapters, including SFP+ at no extra cost. Are you seriously paranoid about high availability? With hot-swappable RAID, hot-swappable PSU's, your choice of 10GB Adapters and 4 hour on-site response, the Ultra High-Availability Enterprise R320 provides the performance and peace-of-mind your application deserves. Advanced L4 & L7 load balancing - SSL Acceleration/Offload - Supports for any TCP/UDP protocols - Direct Server Return (DSR) - NAT-based forwarding -Configurable S-NAT support - Dedicated WAF functionality - PCI-DSS compliant - Advanced health checking - Intuitive WUI - Configuration wizards - Sensible default settings - Real time graphical stats - One-click server maintenance - Simple backup and restore. Save time and money with the license restricted Enterprise VA R20. Get all the raw power, features and performance of the VA MAX version. You will probably never need to upgrade the license. Buy it your way, perpetual license, lease or monthly rental. 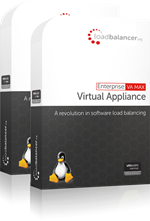 Eliminate stress with a pair of unrestricted Enterprise VA MAX load balancers. You will never have to worry about scalability again. Could we make your decision any easier? You know that all cloud platforms are not the same. Make sure you work with someone who understands the difference. If your platform isn't listed below then give us a shout as we'll more than likely add support for it very quickly. You have already chosen the best cloud platform. Now you need a long term partner to help design and maintain your application delivery solution. Why not fire up a 30 day free trial from the Amazon marketplace right now? You have already chosen the simplest platform for Microsoft applications. Now you need a partner to help you keep them online 24/7. Microsoft certify our Enterprise Azure application delivery solution. For those of you running your applications in the AWS Marketplace but would prefer a one-off perpetual Loadbalancer.org software solution - as opposed to hourly billing. Why not fire up a 30 day free trial via the Amazon Marketplace right now?